Extend your WiFi network MESH WIFI with FRITZ! With the FRITZ!Repeater 3000, AVM has launched a device that distributes data with three radio units, hence the term “tri-band.” The repeater operates in both the 2.4 GHz band and in two separate 5 GHz bands. The highlight is that the repeater communicates solely with the FRITZ!Box via the additional 5 GHz band. The FRITZ!DECT Repeater 100 is a simple and economical way to increase the range of your Digital Enhanced Cordless Telecommunications (DECT) devices. Find out how it can be used to control cordless phones and smart home devices. 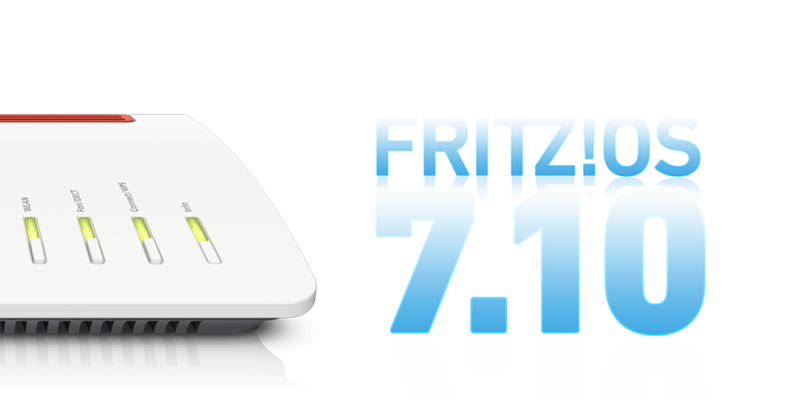 FRITZ!OS 7 brings a whole host of updates and improvements to FRITZ!Box, FRITZ!WLAN Repeaters and FRITZ!Powerline devices, including Mesh WiFi. Our handy guide shows you how to set up your home network for mesh in just a few steps. A recent representative survey revealed that more than half of all people in Germany know about and use their router's additional functions, including wireless guest access and parental controls. Whether you're catching up with the latest news, chatting with friends or streaming your new favorite series - keeping yourself safe on the internet is important. Read on for tips and tricks about navigating the web without any worries. 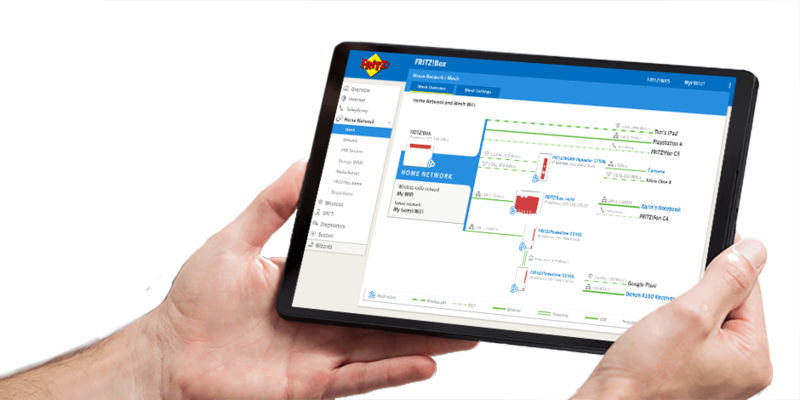 The FRITZ!Box 7530 is AVM’s latest model to successfully pass the BT Openreach SIN498 MCT certification. BT Wholesale customers can now offer a state-of-the-art router that supports Mesh WiFi. Mesh enables users to enjoy seamless WiFi even in the remotest corner of their home.